Comical Start - 30: Mushrooms! Mushrooms! 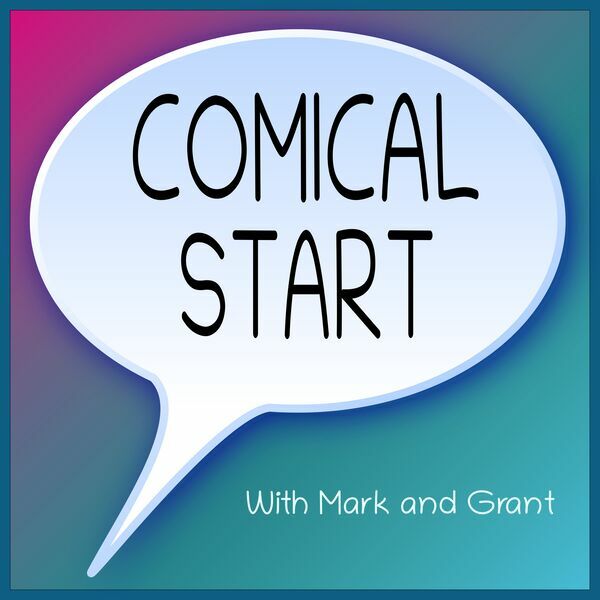 After a bit of recording troubles, Mark gets things started by quoting Andy Samberg. There's no higher form of flatter than impersonation after all. Mark brings a Half Full comic to the table, hoping Grant can provide some advice about his stargazing adventure in the near future. They both admire the Dark Site Finder as a way to figure out where to stargaze, and Grant provides some helpful warnings. Grant brings a Non Sequitur comic, in the hope that Mark is not too concerned with his rambling. Mark suggests societal training to be the cause, and they wonder what background music best fits a podcast of silence.